At this event, Promotable will be discussing A/B testing and attribution, who uses them, and how to get started. Registration for this event is available on an external site. By clicking on the Register button, you will be leaving this site and registering on www.promotable.io. Understanding data is key to a successful marketing strategy. 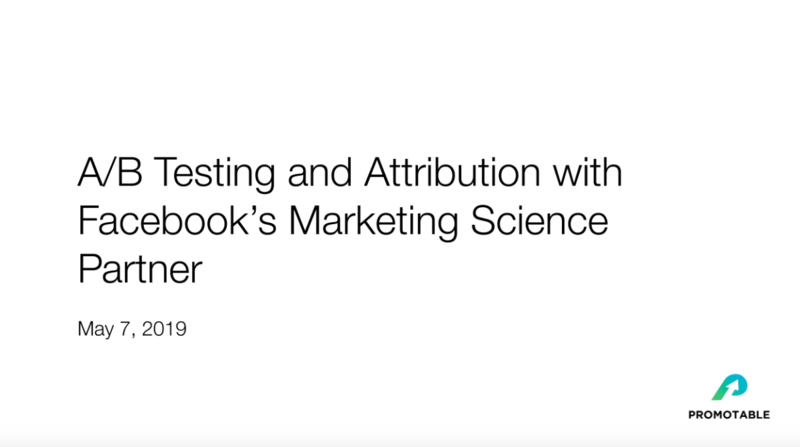 A/B testing and attribution are two of the most important data driven analytical tools to drive results and deliver better ROI. At this event, Promotable will be discussing both of these powerful tools, who uses them, and how to get started. - What is A/B testing, why is it important, when do you use it? - How does A/B testing help you make better decisions? How to get started? - What is attirbution and why is it so important? - What kind of data do you need to get started? How do you get that data?